Established in 1947, Edwin is an authentic Japanese denim brand that prides itself on innovation and craftsmanship. 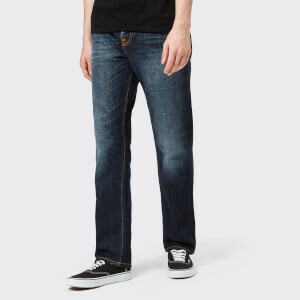 Crafted from 12oz denim, the ‘ED-55’ jeans are cut for a relaxed, tapered fit with a mid-rise. 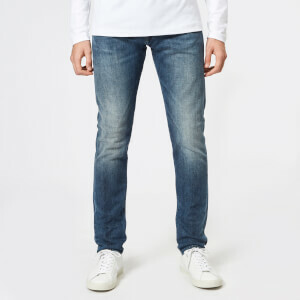 The five pocket jeans feature a faded wash and whiskering on the thighs for a worn-in feel. Fastened with a button fly, the jeans are complete with silver-tone metal hardware, signature embroidered ‘W’ arcuates to the rear pockets and a leather brand patch to the rear waistband.